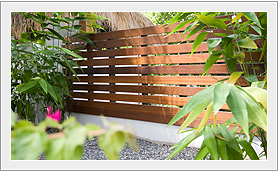 Builders and handymen aren’t the only people who’ve discovered the advantages of dealing with a reliable company like Ironbark Timber Products. Over the last five years, increasingly we have been involved in supplying timber for major projects by developers, Councils and other government groups. 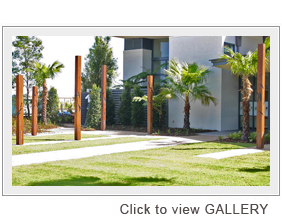 If you have a project coming up with a significant timber component, contact Ironbark Timber Products to find out how we can help bring your project to life. 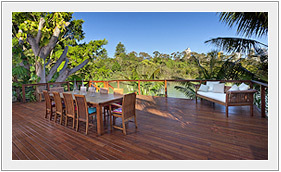 This magnificent boardwalk starts from the Noosa Surf Club car park on famous Hastings Street and continues towards Noosa River for 250 metres. This is the first stage of the project. Followings stages will continue further north in years to come. The boardwalk is up to 3.6m wide and contains Supadeck decking at 120 x 32 in combination with Class 1 hardwood sourced through our mills which have worlds best practice iso9000 standards in place. The decking is ACQ treated with an optional extra of spray coating of Tanacoat, which is combination of decking oil & water repellent. 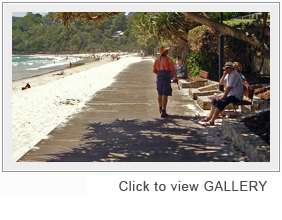 Check out the Noosa Boardwalk photos in our photo gallery. Take a look at the photos in our gallery and youíll see images of our largest project to date – supplying over 300 tonnes of timber. This timber was used to create a boardwalk from the Crown Casino past the Poly Woodside sailing ship through Southbank and Dukes Dock, and South Wharf on the Yarra River in Melbourne. We have supplied over 25,000 pieces of 150×50 F14 for decking. You can see the Poly Woodside sailing ship, where we supplied about 50 tonnes of timber to make a dry dock (which is submerged in the river at the moment). The building in the background is the Convention Centre. The timber species supplied was predominantly Spotted Gum with the balance of Grey Gum and Ironbark cut to F14 or better and treated in accordance with AS1604 and the (TUMA ACT) to Tan-E H4. 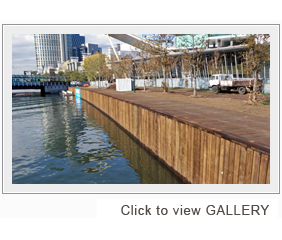 Check out the Yarra River Boardwalk in our photo gallery. This major Gold Coast Project at the up-market Hope Island development used a commercial grade 140×45 treated-after-dressing Spotted Gum. 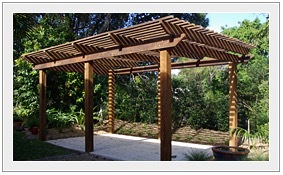 Ironbark Timber Products also supplied all structural sub-floor timber. Check out the Hope Island Marina in our photo gallery. 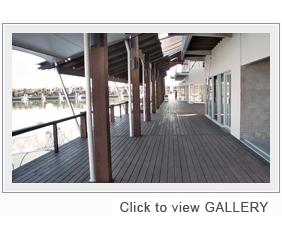 140×32 Red Ironbark Superdeck was used both internally and externally, with 200×75 Red Ironbark handrails. We also supplied the sub-floor timber. Check out the Pacific Harbour Golf Club in our photo gallery.